This example shows how to run a qt-gui in python and control an openrave python script including viewer and terminal input. 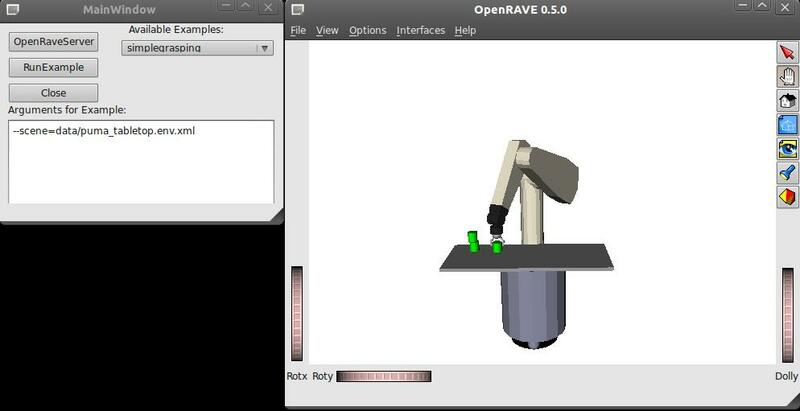 Therefore the openravepy.examples dictionary is used to provide all available openravepy examples to the qt-gui. To abort an example just restart the OpenRaveServer. If you want to start an example with some arguments just insert them in the “Arguments for Example” box with space seperation.